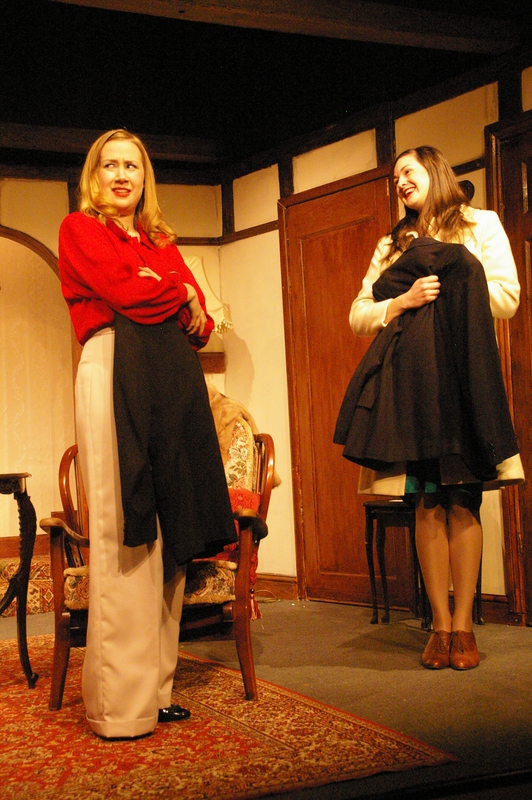 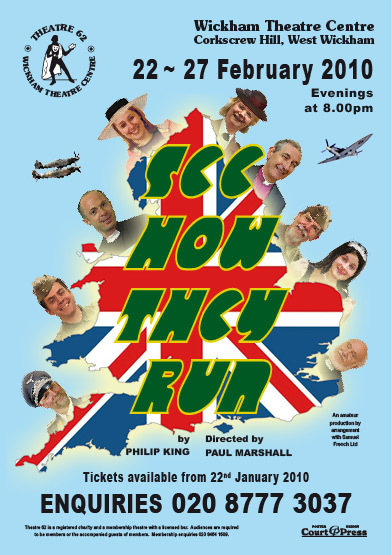 This play is fast, fun and furious, using stock elements of farce – a bishop, a repressed spinster and loss of trousers. 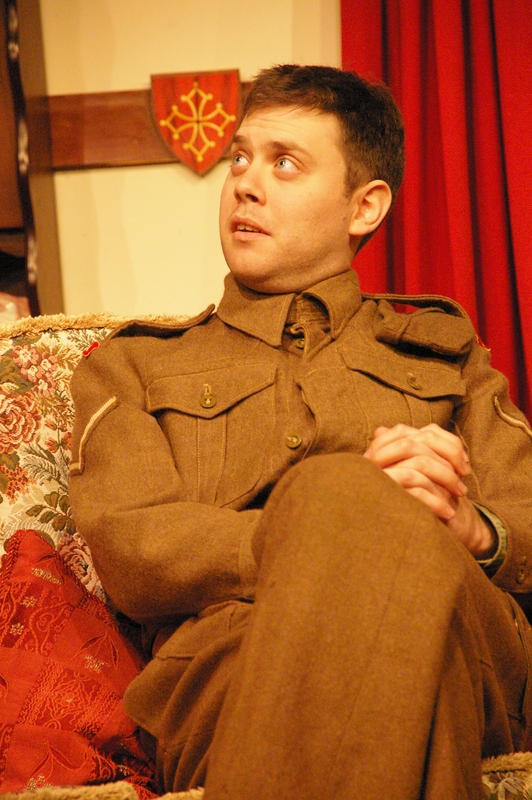 It is set in 1943 in the local Vicarage. 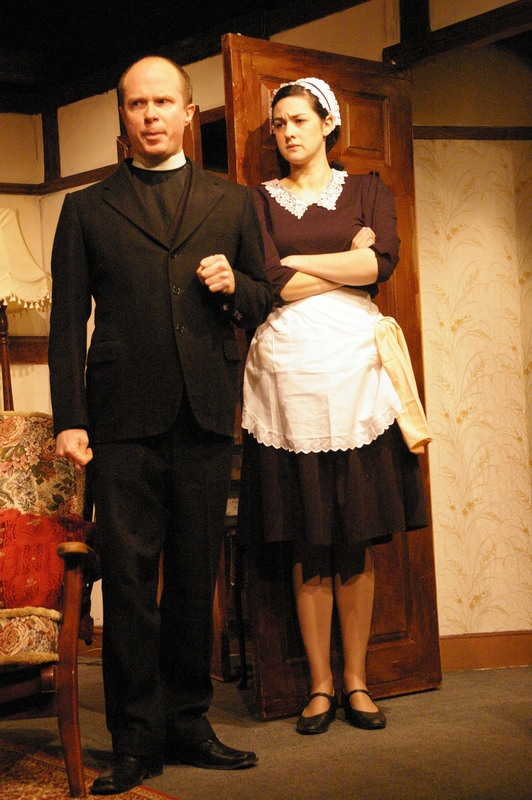 The lead character is Penelope Toop, the former actress wife of the local vicar, the Rev. 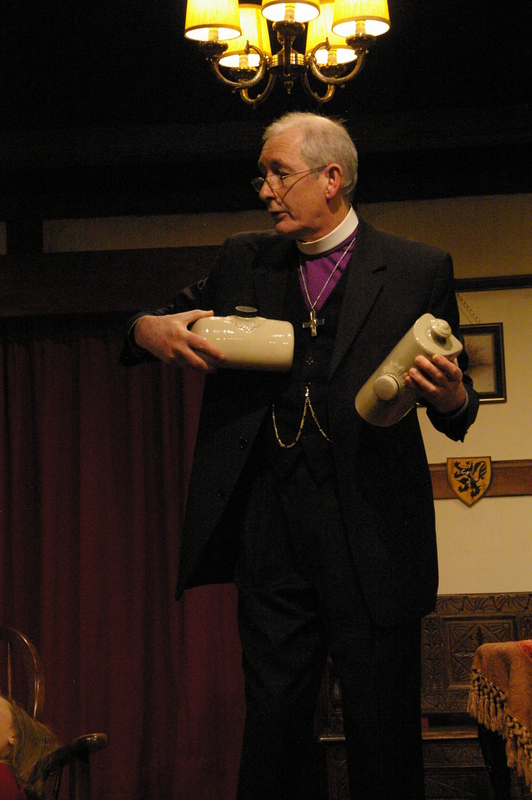 Lionel Toop. 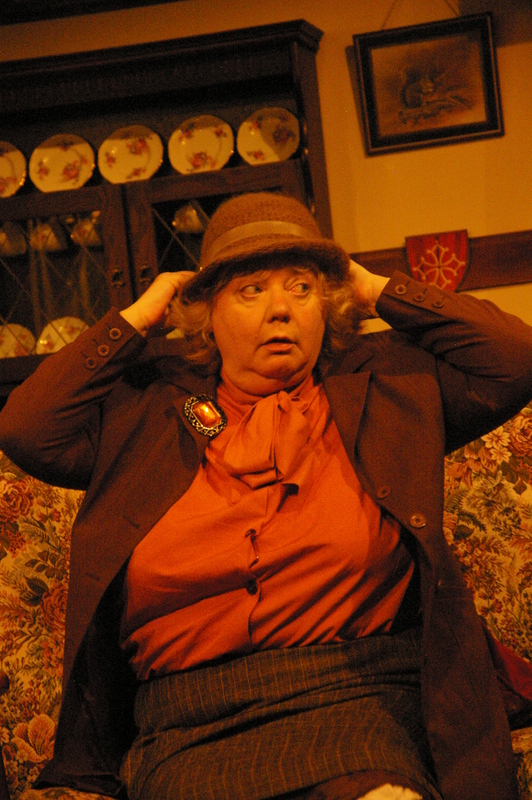 They employ Ida, a Cockney maid. 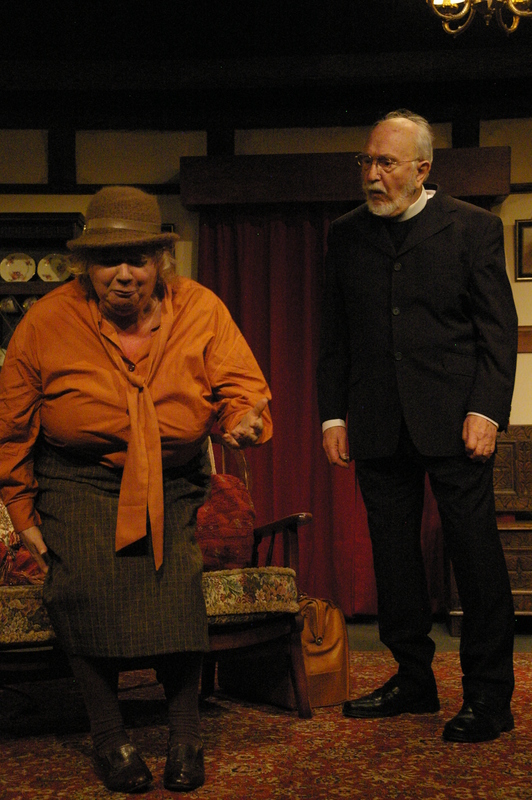 Miss Skillon, a churchgoer arrives on bicycle to gossip with the vicar and to complain about the latest ‘outrages’ that Penelope has caused. 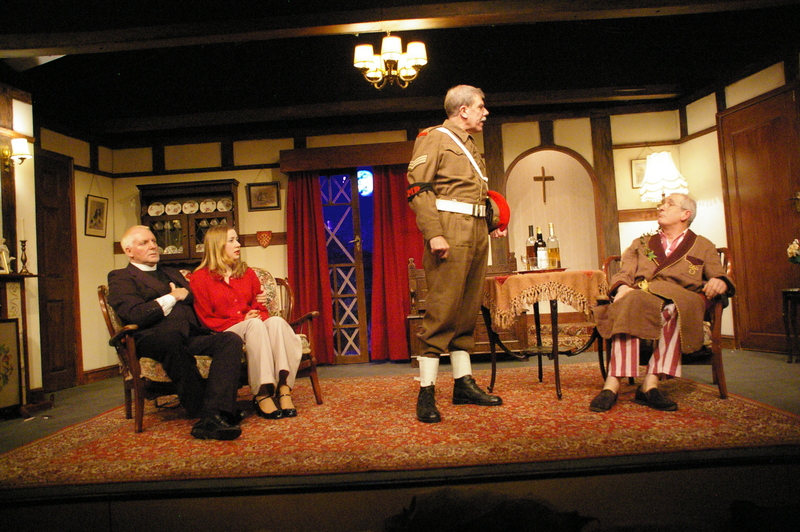 The vicar then leaves for the night, and Lance-Corporal Clive Winton, stops by on a quick visit. 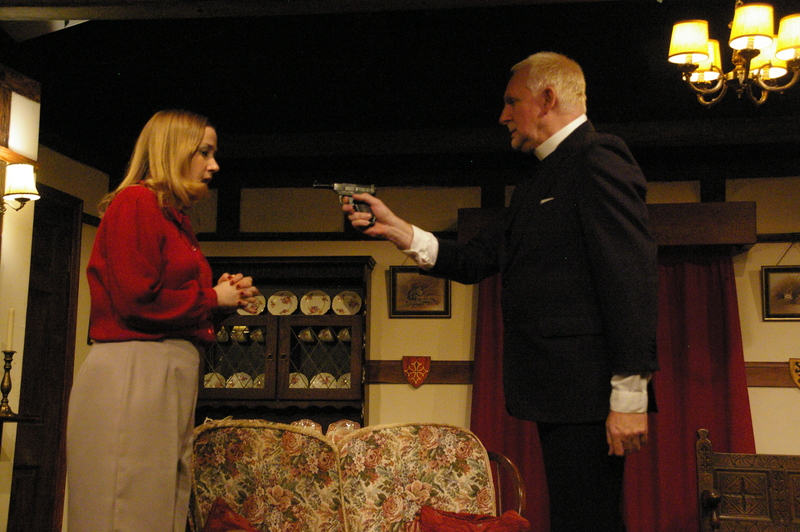 Penelope and Clive re-enact one of their scenes from Private Lives and manage to knock Miss Skillon unconscious. 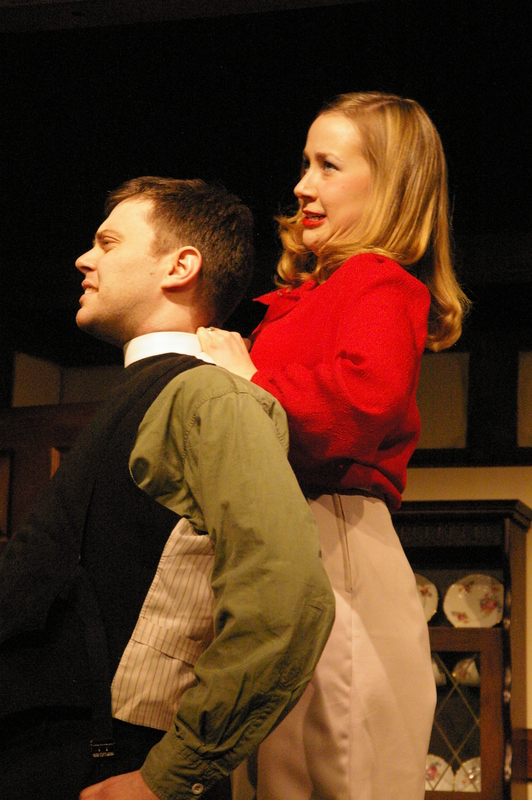 Miss Skillon gets drunk on a bottle of cooking sherry and Ida hides her in the broom cupboard.